 Orthodox Christian funerals are held for faithful Orthodox Christians who have lived their lives in a sacramental and canonical unity with the Eastern Orthodox Church. In other words, only those who have been baptized and chrismated in the Orthodox Church, and have had their marriage blessed in the church are eligible for an Orthodox funeral. An Orthodox funeral is denied to any Orthodox Christian who has committed suicide, unless he or she was proven to be psychologically or mentally ill at the time of death. Immediately notify the family doctor or the county medical examiner (coroner) if the death occurred at home so he/she may examine the deceased and sign the death certificate. The body may not be removed otherwise. Call the funeral director of your choice. The church has no objection to autopsies for the sake of determining the cause of death, to further medical science, for the donation of body organs (eyes, heart, etc. ), or for transplants, as long as the intent is to save or improve another human being’s life. Cremation is absolutely forbidden by the church. It is considered blasphemous to the body of man which is “the temple of the Holy Spirit.” Cremation is also considered a denial of the important doctrine of the bodily resurrection of all the faithful in Christ. Insistence on cremation will result in refusal by the church to allow a church service for the deceased. On the evening before the day of the funeral, the priest may conduct a small prayer service – the Trisagion, either in the church or at the funeral home, wherever the deceased is lying in state. The same Trisagion service is conducted at the cemetery during the internment. Funeral services particular to certain lay organizations may not be held from the evening of the Trisagion to the committal at the cemetery. Should the family wish to have another clergyman offer a prayer for the deceased, he may do so only during the graveside ceremony, following the Orthodox Trisagion. The Makaria is a fellowship meal following the funeral service served only as a means of comforting the bereaved and expressing thanks to those who attended the services or assisted the bereaved during their time of grief. If you would like to have the Makaria at the Church, please contact the office for availability and to make arrangements. All Holy Days of our Lord: Christmas, Easter, Epiphany, Transfiguration, etc. All Feast Days of Theotokos and every Virgin Mary; August 15, August 23, March 25, etc. From the Saturday of Lazarus to (and including) St. Thomas Sunday. On the Sunday of Pentecost and on August 15th.